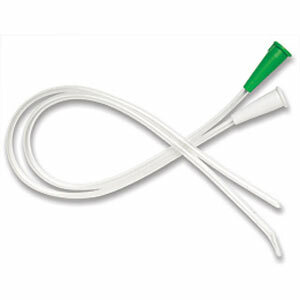 The Easy Cath Soft Eye Catheters are non-lubricated, sterile, Latex-free catheters used for intermittent self-catheterization. They feature a color-coded funnel end and has Soft-Eye straight tapered tip with recessed polished eyelets for maximum comfort and ease of application. Product is made of clear Latex-free PVC material.